Is there a better alternative to soundGraph? Is soundGraph really the best app in Audio category? Will soundGraph work good on macOS 10.13.4? 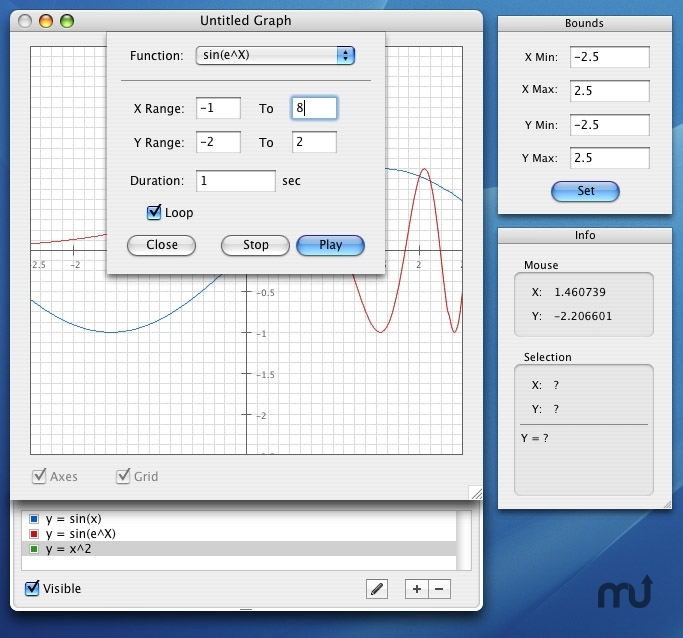 soundGraph is the graphing calculator for Mac OS X that can play functions of x as sounds. With true Mac OS X feeling, soundGraph is both fun and easy to control. Have you ever wanted a really low-level synthesizer? soundGraph is the solution for you! soundGraph needs a review. Be the first to review this app and get the discussion started! soundGraph needs a rating. Be the first to rate this app and get the discussion started!